Tim Tebow | Clarksville Sports Network - Clarksville Tennessee's most trusted source for sports, including Austin Peay State University. 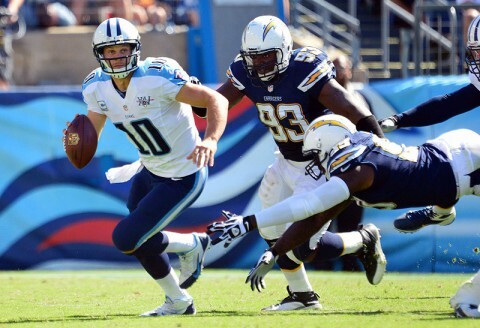 Nashville, TN – The Tennessee Titans are scheduled to have the 25th overall selection and six total picks in the 83rd Annual National Football League Player Selection Meeting, beginning April 26th, 2018 in Arlington, Texas. 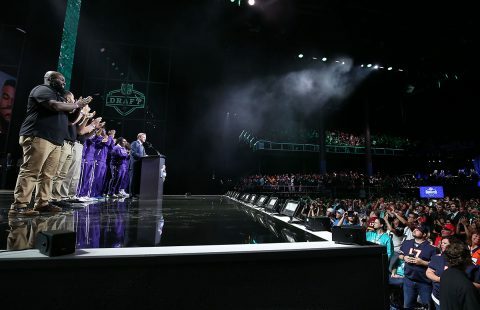 The NFL will conduct the seven-round draft at AT&T Stadium, marking the first time an NFL stadium has hosted the event. 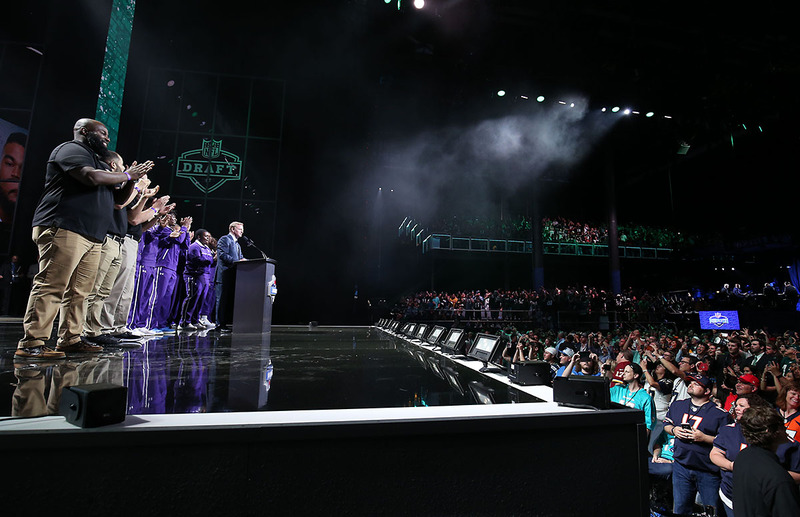 The draft site will encompass the field, stands and outdoor plazas at the Dallas Cowboys’ home venue. Knoxville, TN – Tennessee renews one of its most exciting SEC East rivalries this week as the Vols host No. 7/8 Georgia on Saturday in Neyland Stadium. The game will feature a 2:30pm CT kickoff on CBS. Tennessee (3-1, 0-1 SEC) is coming off a 17-13 win over UMass on September 23rd. Junior running back John Kelly ran for 101 yards and one touchdown on 25 carries. Sophomore receiver Brandon Johnson set new career highs with seven receptions for 123 yards. The UT defense logged seven sacks in the win, marking the Vols’ most sacks since recording seven sacks against Vanderbilt in 2008. Nashville, TN – Joshua Dobbs racked up 409 yards of total offense and four touchdowns, Derek Barnett set a new Tennessee sack record and the No. 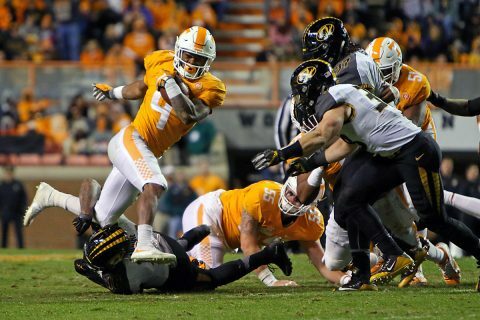 21 Tennessee Volunteers took a 38-24 win over the Nebraska Cornhuskers in the 2016 Franklin American Mortgage Music City Bowl on Friday at Nissan Stadium. 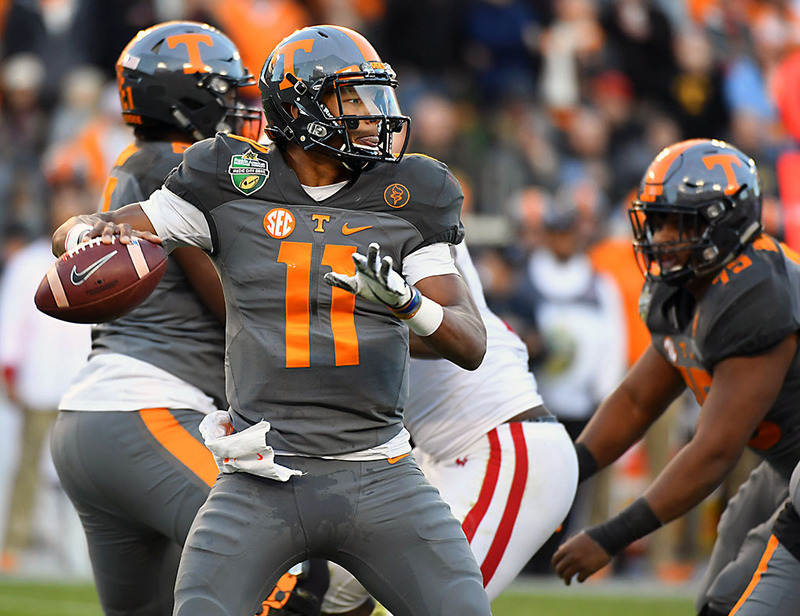 Tennessee (9-4) led from start to finish and posted 521 yards of offense thanks to Dobbs’ outstanding career finale. 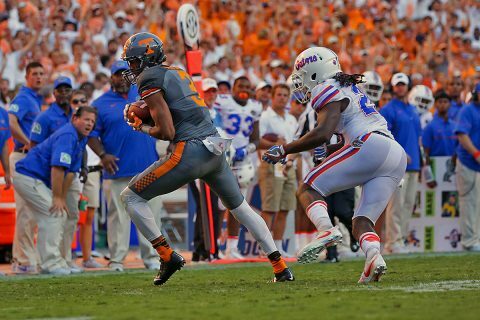 Dobbs, who was named MVP of the game, ran for 118 yards and three scores on 11 carries and finished 23-of-38, throwing for 291 yards and one touchdown. Knoxville, TN – No. 24/24 Tennessee will close its 2016 regular-season schedule against Vanderbilt on Saturday with a 6:30pm CT kickoff at Vanderbilt Stadium. Saturday’s game will have a SEC Network broadcast with Tom Hart (play-by-play) and Andre Ware (analyst) in the booth and Cole Cubelic reporting from the sidelines. Tennessee (8-3, 4-3 SEC) is 4-0 when on the SEC Network or SEC Network alternate this season. Hart, Ware and Cubelic were on the broadcast for UT’s wins over Ohio (September 17th) and Kentucky (November 12th). Knoxville, TN – After two consecutive weeks on the road, No. 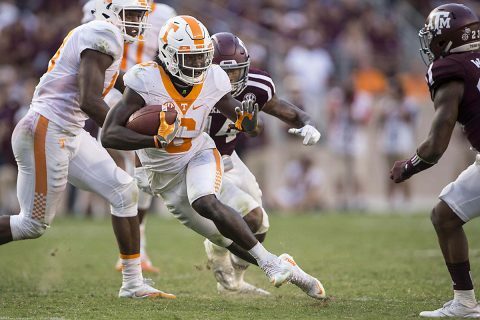 9/11 Tennessee returns home to play host to cross division rival and top-ranked Alabama at Neyland Stadium on Saturday at 2:30pm CT.
Saturday’s game will be broadcast on CBS as Tennessee (5-1, 2-1 SEC) will appear on the SEC on CBS Game of the Week for the fourth consecutive week. The Vols are the first team in history to be featured in four straight weeks by the network. Verne Lundquist, Gary Danielson and Allie LaForce will be on the call. Fans can also tune in to their local Vol Network affiliate to hear Bob Kesling, Tim Priest, Brent Hubbs, Eddie Moore and John Brice describing the action. A national Sirius XM broadcast is available on channel 84. Knoxville, TN – No. 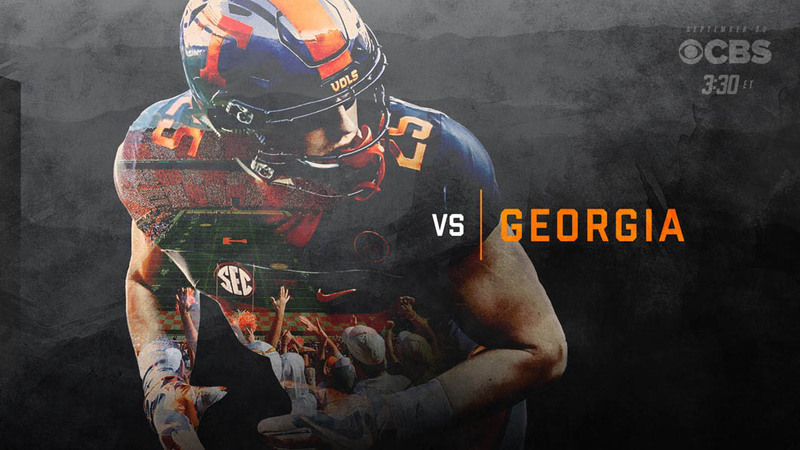 11/11 Tennessee heads to Athens, GA, to face No. 25/20 Georgia on Saturday at Sanford Stadium for a 2:30pm CT game on CBS. SEC Nation will be on site in Athens at Myers Quad on Saturday. The show runs from 9:00am CT to 11:00am CT on SEC Network. Maria Taylor (bio) hosts the traveling pregame show, navigating the Saturday morning conversations with analysts Tim Tebow, Marcus Spears and Paul Finebaum. Laura Rutledge provides live reports of the sights and sounds of southern tailgating. Fans who arrive early will receive a free SEC Nation t-shirt and chance to win tickets to the SEC Championship, a Regions bike, Belk prize pack, and more. Atlanta, Ga – Belmont University men’s basketball senior J.J. Mann (Smyrna, Ga.) has been named semifinalist for the 2014 Wooden Citizenship Cup. This is the latest in a string of prestigious civic and academic honors for Mann. In 2013, the Smyrna, Ga. native was one of only five NCAA Division I men’s basketball players selected to the inaugural Allstate NABC Good Works Team, recognizing men’s and women’s college basketball student-athletes who have made outstanding contributions in the areas of volunteerism and civic involvement. Mann was honored at the 2013 Men’s Final Four. Nashville, TN – Vanderbilt Head Coach James Franklin will share the ESPN SportsCenter stage with host Reece Davis, college football analyst Todd Blackledge and 2007 Heisman Trophy recipient Tim Tebow at 11:00am CT Monday in the first of several guest appearances during the network’s 15-hour BCS National Championship production from the Rose Bowl. Franklin is scheduled to appear on multiple ESPN-affiliated programs Monday from Pasadena, including ESPN’s College Football Live and ESPNU BCS Countdown. San Antonio, TX – Austin Peay State University athletics director Derek van der Merwe will fly out Thursday to represent the University, its athletic department and its ROTC program at the U.S. Army All-American Bowl, the nation’s premier high school football all-star game. The game, which features the nation’s 90 best players in a classic East vs. West match-up, will played in San Antonio’s Alamodome, 1:00pm, Saturday. Nashville, TN – The Tennessee Titans (2-1) play their second of three consecutive home games this week, welcoming the New York Jets (2-1) to LP Field (capacity 69,143). Kickoff is scheduled for 3:05pm CDT on Sunday, September 29th. This week’s game will be televised regionally on CBS, including Nashville affiliate WTVF News-Channel 5. Greg Gumbel will handle play-by-play duties while Dan Dierdorf provides analysis.